I grew up in San Francisco’s Sunset district. In high school, I sold drapes and blinds at Montgomery Wards. Even though I worked only part time, I was the top salesperson. During my years at San Francisco State University, I worked at C/S Bath, a bathroom and kitchen design company, selling to interior designers, contractors and people remodeling homes. Again, even though I was only part time, I was the top salesperson every month. Fast forward 20 years: I’m still selling and loving it. Believe it or not, selling cutting-edge technology is not that different from selling window treatments and kitchen faucets. Here are five key lessons I learned about sales back in school that are as true today as they were then. They’re also why a sales career is perfect for anyone, whether working parent or triathlon in training, who wants to have a career where you have the power to succeed while maintaining a healthy work-life balance. 1. Your input directly correlates with your output. This realization sent me on my career path. I was the only part-time employee and worked 15 hours a week; yet I was the top performer. It doesn’t matter whether you work 50 hours a week or 30. What matters is how smart and hard you work. 2. The numbers say it all. You’re not judged subjectively. I have always liked being able to measure my own performance and know where I stand at all times. Because I exceeded my monthly sales targets, I could focus on school, instead of wondering whether I was doing a good job and worrying about job security. 3. You’re as good as your network and reputation. People buy from people they know and trust. If you take the time to build relationships and provide exceptional customer service, it doesn’t matter what you’re selling. At the end of the day, your customers know that you’ll be there for them and do whatever it takes to solve any problems that come up. 4. Loyal customers will seek you out. Designers and contractors would schedule appointments during my work hours or wait in the showroom to see me—even though other full-time salespeople were available. My customers knew that I would take the time to understand what they were looking for, provide them with good options and place their order promptly and accurately. 5. Follow-up matters. A successful client relationship doesn’t end when you collect your commission. I’d follow up to make sure orders arrived in time to meet customers’ remodel milestones and address any post-sale issues. If you’re considering going into sales, consider these benefits as you weigh your options. There is a direct correlation between results and working hard and smart. This means you can succeed at work and have time to enjoy your life outside of work. I love what I do, and I love my family. Because I’m in sales, I can enjoy both. Alice Katwan leads the Genesys North American West Commercial and Operational activities, which accounts for half of the company’s North American revenue. Her team of 25—made up of an equal number of women and men, unheard of in high-tech sales—has achieved record revenue growth. Alice has worked in enterprise sales for nearly 20 years. 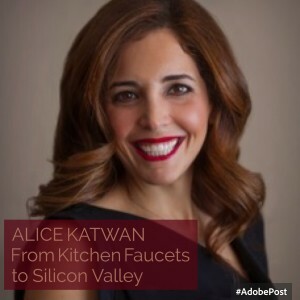 Alice sits on the Board of Directors of The CLUB Silicon Valley and was selected for the CLUB Incubator leadership program in 2015. The Incubator blog features a diverse group of successful leaders - they have fascinating backgrounds, they work for a wide array of amazing companies including Adobe, Synopsys, Apple, Tesla, Facebook, Procopio, and Genesys, and they are ready to share what they've learned to help others succeed in their career journey. Our initial group of bloggers, pictured here, were selected for and graduated from a year long leadership program, the "Incubator", managed by The CLUB Silicon Valley. We also include the occasional guest post from women who are related to the program. As you prepare for 2016, how about considering a theme instead of a New Year’s resolution? For 2015, I focused on making some big moves, key decisions in my life, and I knew I would need to let go of my conservative ways if I wanted to make the desired changes. I had observed and admired a fellow leader that seemed to throw caution into the wind and charge forward with risk verses comfort. 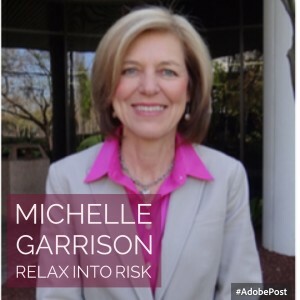 I wanted to meld my mindset toward risk. This was the birth of ‘Relax Into Risk’ for 2015. Here’s how it works. As you kiss the current year good-bye for both the wonderful and trying things that happened, you pick an area – or theme – that you want to improve or change in the next year. Add to the mix a few intentions and you create a powerful focus for the year. One important element to really make it stick is an accountability team of several people to share your evolvement with as the year progresses. I’ve already decided that my focus of 2016 will be ‘Pursuit de Polaris’. I’m in search of my North Star, the path for greatest happiness. Given my track record and accountability partners, I’m pleased to say I’m already well on my way to a happy and successful 2016. Michelle has a breadth of engineering and management experience gained at key Silicon Valley firms and is also avid bicyclist, raising funds for cancer research through Team in Training rides. She a member of The CLUB Silicon Valley and was selected for the CLUB Incubator leadership program in 2015. Wisdom of Women is the new blog from the CLUB Incubator. Follow an amazing group of leaders as they share their expertise and observations. Learn from their experience and hear about what it takes to succeed in fast-paced innovative Silicon Valley and beyond. The CLUB Silicon Valley announces the successful launch of the Incubator - an advocacy program designed to give senior leaders a boost to help propel their career growth and personal potential. Seven women were selected for the 2015 pilot program, representing some of the most innovative, successful and renowned companies in the world. Each leader lives and works in Silicon Valley, where the pace is fast, the competition is fierce and resilience and relevance are of utmost importance. With an average of 21 years of experience, these leaders know what it takes to make it in the real world. As firms struggle to embrace diversity and grow the number of women in the most senior ranks of their organizations, the Incubator is developing senior women to be ready to take the next promotion or attain that next big job. 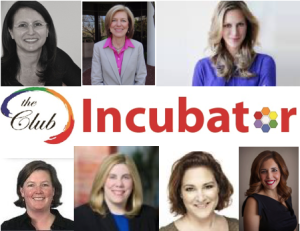 Erin Brooks Sawyer (Tesla), Jennifer Adams Draffen (Facebook), Michelle Garrison (Synopsys), Alice Katwan (Genesys), Donna Kolnes (Adobe), Katherine Mendonca (Apple) and Mindy Morton (Procopio) formed the inaugural class of the Incubator. A hallmark of the CLUB Silicon Valley and the women of the Incubator is their desire and drive to give back to others who are striving for leadership excellence. Their professional profile will be publicly available in member spotlights, their advice will be shared via a regular blog and they will be available for speaking engagements, career roundtables and mentoring. The Incubator was founded by Laraine McKinnon, a long time advocate for women’s leadership, who observed a gap in public recognition for many successful senior female leaders and created the program to address it. 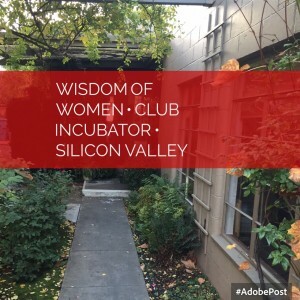 The CLUB Silicon Valley will run the Incubator program on an annual basis. The application period for the 2016 Incubator program opens in October and applications are due on November 30. The Incubator would like to recognize representatives from Adobe, Glassbreakers, KLR Consulting, Laurie Kretchmar Associates, LinkedIn, Olive Grove Consulting for their contributions and support, and Procopio, Cory, Hargreaves & Savitch LLP for their generous sponsorship.